You’re shopping for a good mid-size crossover SUV. There are plenty on the market, and you want the confidence you’ve got it right when the time comes to make your choice. The Nissan Murano looks good… but how does it measure up to its comparable competitor, the Ford Edge? Both are fine vehicles—economical, spacious, and versatile. So how do you know which is the better pick? The Murano of course! At least, your friends at Go Nissan North sure think so. Read on as we take a look at what gives the Murano the edge over the Edge. Ford boasts they make the toughest vehicles on the market, but the Edge falls short on this front. The Nissan Murano’s 3.5L V6 engine churns out 260 horsepower, while the Ford Edge’s 2.0L I-4 can only muster 245 horses. 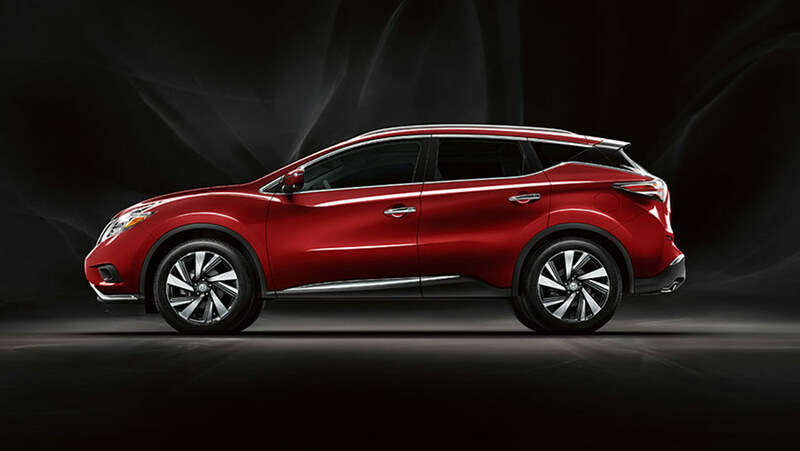 In an SUV, power does account for something, and the Murano’s got the Edge beat when it comes to sheer muscle. Fuel efficiency is one of the most important factors many buyers look for in their vehicles these days. If you want an economical ride, both the Nissan Murano and the Ford Edge are fine choices. They both offer comparable gas mileage in the city and on the highway, but where the Murano beats the Edge is in the size of the fuel tank. The Edge has a 68 litre tank, while the Murano holds 71 litres. Both vehicles may be burning fuel at roughly the same pace, but the Murano simply has more fuel to burn. You’ll be filling up less often with Nissan Murano. You, your family, your stuff. This is all precious cargo, and you want it all to get safely to your destination. The Nissan Murano has a full suite of standard safety features to make sure that happens. Standard features include Intelligent Forward Collision Warning and Intelligent Emergency Braking, which work together to help monitor the road ahead of you, and alert you to trouble. Vehicle Dynamic Control, Traction Control, Electronic Brake Force Distribution, and Brake Assist help you respond when you need to take action. This doesn’t even include other optional features. While the Ford Edge does offer some of these driver assist and safety features, it doesn’t offer as many, and almost none of them come standard. There you have it. 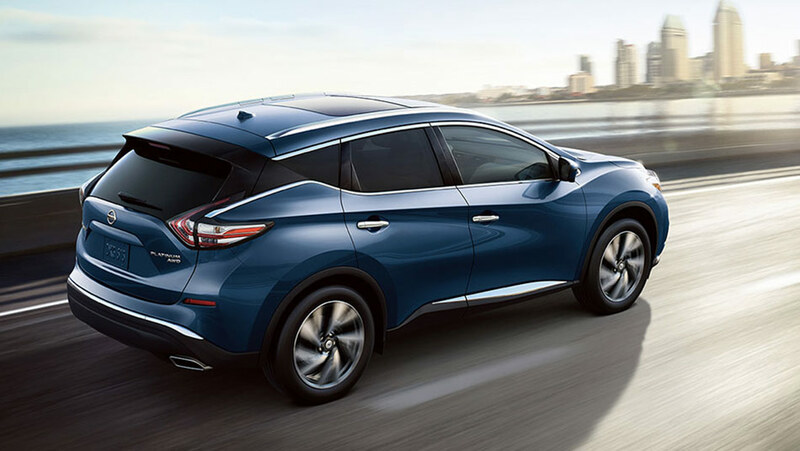 The Nissan Murano is the safer ride, the more economical ride, and the more powerful ride. Come see for yourself by giving this fine SUV a test at your Go Nissan North dealership!